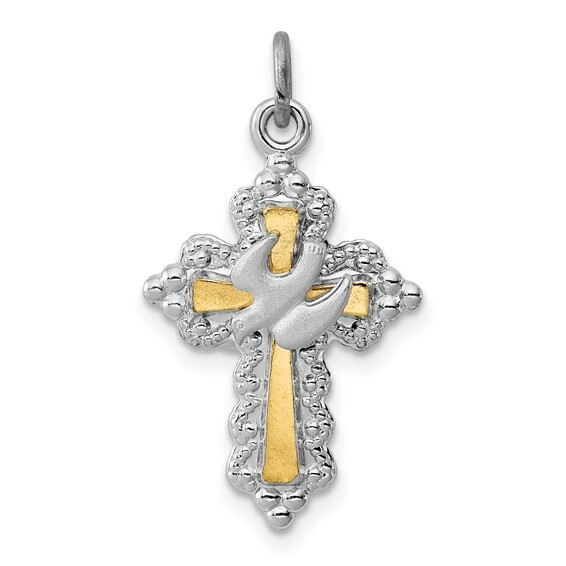 Holy spirit cross with dove pendant is made of gold-plated sterling silver. Measures 7/8 inches tall by 9/16 inches wide without bail. Weight: 1.7 grams.